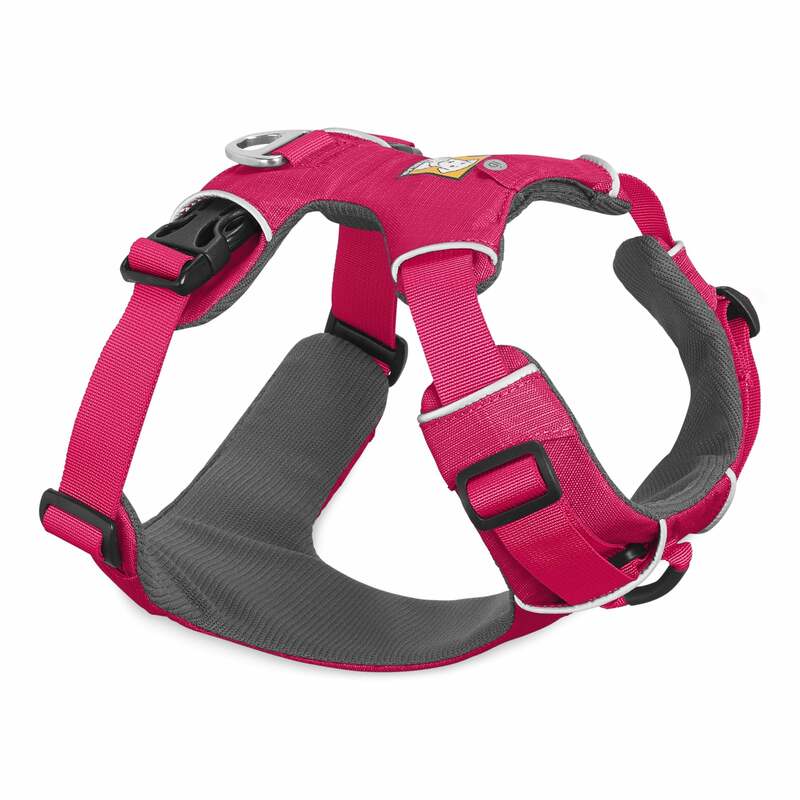 The Ruffwear Front Range Harness is a great everyday harness that is easy to fit and put on. The four points of adjustment allow you to achieve a customised fit that allows your dog full range of movement with the padded straps providing maximum comfort. Including two dog lead attachment points; an aluminum V-ring centered on the dog’s back for everyday walks, and reinforced webbing at the dog’s chest for training or additional control on dogs prone to pulling. The Front Range Harness also features an ID pocket to keep dog tags easily accessible while storing them out of the way.